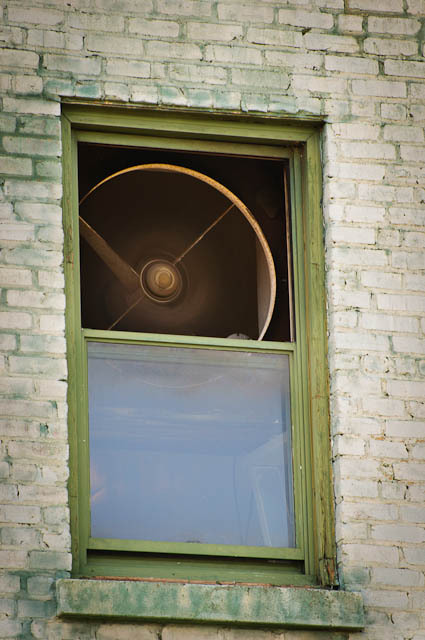 A window fan like this was once called “air conditioning” for many apartments and large buildings. In a house I once lived in we called it a “whole house fan”. Whatever, it seemed to work pretty good, albeit we had to live with the humidity. I slowed the speed in my camera so as to be able to blur the fan’s motion. Taken in Martinsville, VA. Nikon D300, processed in Lightroom 3.